Hello and welcome dear friends to Raquel's underwater world! Raquel has been a writer and an artist since she was a child, but as the years passed she slowly began to lose herself. She began painting and writing as a young girl as escapism from her unpleasant childhood. Another particular that encouraged Raquel's escapism was her ability to swim as often as was permissible. At the age of seventeen, she landed the job as a professional Mermaid at the world-renowned park, Weeki Wachee Springs in Florida. 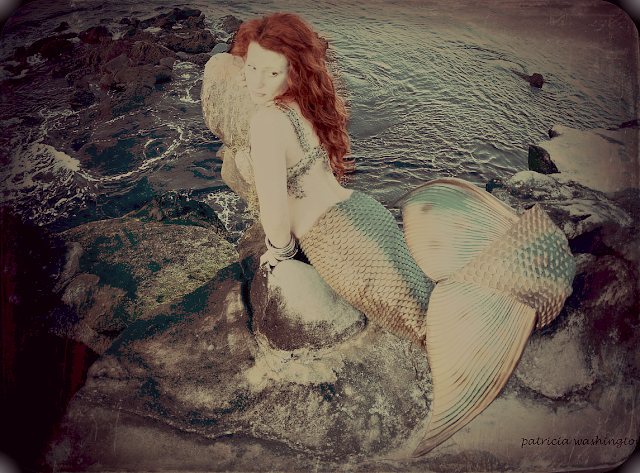 Raquel has entertained tens of thousands of people as a performer, tallying her live mermaid performances well over 16,000 hours. Raquel raised four children as a stay at home mother. She has always enjoyed the simpler aspects of being a homemaker/homesteader, loves the Victorian era; most ardently and anything that evokes old-fashioned. Her love for writing inspired this blogs conception in the year of 2006. However, due to various unfortunate events, in 2017, she lost 11 years of her blog posts. She was quite devastated, but unwavering and began anew. This blog is the manifested result of Raquel's tenacity. As a child, Raquel became enamoured with Beatrix Potter, the author of "The Tale of Peter Rabbit." She also raised her own children to love Beatrix's stories and what has now become the inspiration behind her very own spiritual children's book series. Another of Raquel's heroes is Tasha Tudor. She has spent decades transforming her life by emulating, Tasha Tudor and Beatrix Potter. 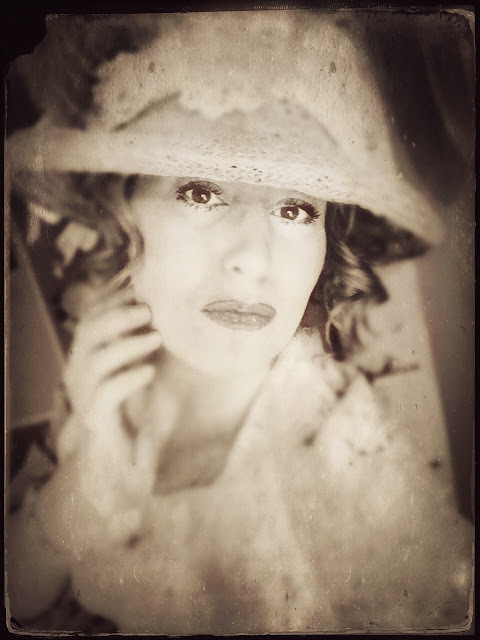 Raquel lives an antiquated old fashioned lifestyle in her real life based in the Victorian era. Raquel's books are quite reminiscent of her mesmerizing hero, Beatrix. Raquel and exclaims, "If you like Beatrix's stories about rabbits, you're sure to adore my books about MerryMaid's and little animals too." After twenty-four years of marriage and feeling, she'd lost herself and her passion for life Raquel moved across the country in search of her dreams and to truly rediscover herself. She slowly began her voyage back to self-love and in the process began to have a spiritual awakening. She transitioned out of her religious faith and obtained a divorce. Raquel believes those two poignant decisions choices were the best shes ever made. Raquel has studied Psychology, Personal Growth/Development since her teens. She has read thousands of books on personal growth/self-help and has studied the Teachings of Abraham well over 30,000 hours. She has spent decades implementing the four quadrants of a balanced life with her study of "The 7 Habits of Highly Effective People" by Stephen Covey. Her life really began to change exponentially as she applied the Principles and Teachings of Abraham/ Law of Attraction. Within one year of practising the Law of Attraction, she rediscovered herself as an artist, author, moved back near the ocean, and manifested her soul mate/twin flame in two months. She picked back up her paintbrush after 36 years, wrote, illustrated and self~published her very first children's storybook in October of 2018. Raquel now understands that her dreams of being an artist and author were there all along, however, they needed to be unearthed. She desires to use this blog as a way to inspire and encourage women and girls to truly believe in themselves. But most important of all; to develop the gift of self-love. Raquel's life relates to her blog as it is purely a transparent example of all that she represents, encompasses and lives authentically. She provides valuable content through sharing her life experiences, personal growth, the law of attraction philosophy, Interior Design/DIY and true evergreen curations on this blog as a way to encourage and inspire self-empowerment for women and girls. 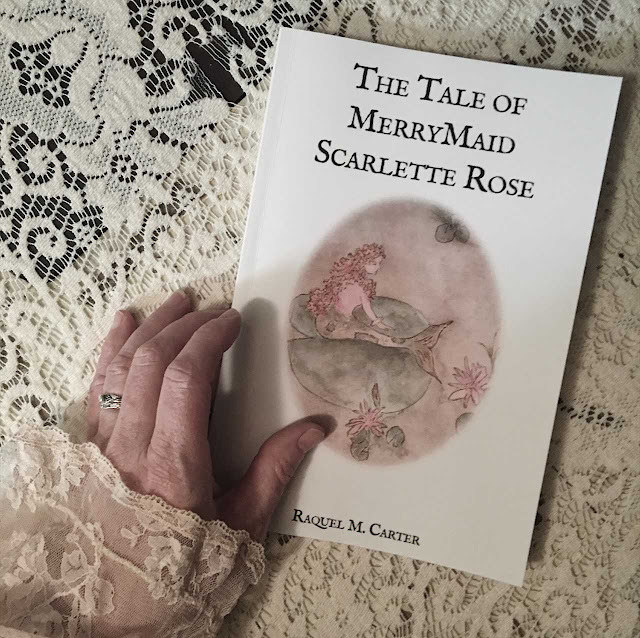 Raquel's first book, "The Tale of MerryMaid Scarlette Rose™" which is the first in a spiritual children's series, was published in October of 2018. ~A Real Life Mermaids Transformational Tale, A Voyage Back to Self Love" which is an all-encompassing book about her voyage back to self-love and rediscovery. *Raquel has a degree in Interior Design and is a certified Interior Design Psychologist. She has certifications in Aromatherapy, Organization, and CPR. She is also a certified Scuba Diver and certified Lifeguard.